Carol Blawn - Ormond Beach REALTOR - EXIT Beach Realty - Carol Blawn of Exit Beach Realty - Search for Properties in Ormond Beach Florida. Search all homes for sale in Ormond Beach and the Greater Daytona Beach area. Ormond Beach Florida - zip codes 32172,32173,32174, 32176 - One of the hidden treasures in the Greater Daytona Beach area. Ormond By The Sea zip code 32176 - Sandy white beaches. Welcome to Homes in Ormond Beach - Your Resource to Florida Real Estate and Lifestyle. Welcome to Homes in Ormond Beach, your one stop shop for over 5,000 Ormond Beach area homes, houses, condominiums, lots, land, townhomes and real estate listings for sale in the Ormond Beach area. If you are looking for places in the Daytona Beach, Port Orange, Ponce Inlet, Palm Coast area you have come to the right place. Find homes for sale in the Ormond Beach area including Daytona Beach, Port Orange, Ponce Inlet, Palm Coast and more. With our Home Search feature you are able to search through thousands of local area homes just like real estate agents do. Find new homes, luxury homes, townhomes and condos, in addition to property and land listings in the area. Contact Exit Beach Realty today! Whether you are looking for a new home, thinking of selling your existing home, or just want help with an investment or a relocation, Call Carol, I can help. Great customer service for your biggest investment is my first priority! 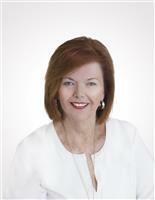 Carol Blawn Award Winning EXIT Realty International Award Winner! Find and compare local neighborhood home values and if you have any questions please contact me! Welcome to Carol Blawn's premier real estate website! We are glad you are here. We take pride in providing you the best possible service, as well as the latest cutting edge tools, to make all your real estate transactions as smooth as possible. You won't find another site with more comprehensive, local real estate information. Whether you are buying or selling, you have come to the right place. Bookmark our site, or give us a call. We look forward to putting our years of experience to work for you.